Are you an author who wants to tap the growing market of digital books or eBooks? Do you think you are missing on an opportunity by not reaching out to the new audience who prefer eBook reader such as Amazon’s Kindle reader? Do you want to publish your old printed book which has no electronic version of the book & you don’t know how to start? If your answer is yes, then you have made the right introspection. A huge market of electronic readers exists and it is predicted to grow manifold. A device like Amazon’s Kindle has become famous as it lets the users download and access over 150,000 digital products. Gone are the days when hard copy ruled the roost. The transition to soft copy has taken place and as an author or publisher, it should be your utmost priority to take the jump. Take the step to convert your printed books to kindle format and be the first to reach the largely untapped market of eBooks. Join the hands with the expert in the field – IT Global Solution as we are the recommended conversion partner for Amazon’s Mobi file format which is used for Kindle reader. We are an experienced service provider and can guarantee the best quality conversion at a lower cost. We ensure that the conversion from print to kindle format will look as similar as the original hard copy (as per the Kindle conversion guidelines). We have converted several printed books into Kindle format. 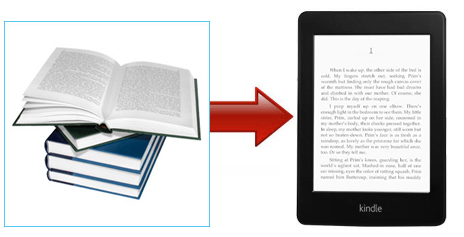 Mentioned below is the step-by-step procedure that we undertake to convert print books to the Kindle format. The usage of special characters, bullets, fonts etc. The limitations in conversion (if any). Once we receive the payment and the copy of the book, we will proceed with the conversion process. Once we receive your final version, we will convert it to kindle format. Once the conversion to the Kindle format is done, we will perform a quality check and send you the converted Kindle format file. You can review the file and let us know if there are any changes. You can call us directly as well. You can also make a list of changes and email the same to us. We will work on the changes following the Kindle conversion standards and update you on the same. Once you are satisfied with the conversion into the Kindle format, we shall send you the final output which you can upload to your Kindle account. If you need any assistance at any step, feel free to contact us. We convert books for authors, publishers, and copyright owners only. If the book is no longer copyright protected please provide us with the full publication details. If you have any queries on print to kindle conversion, feel free to contact us at Bob@itglobalsolution.com or call Bob at Supremus Group on (515) 865-4591.